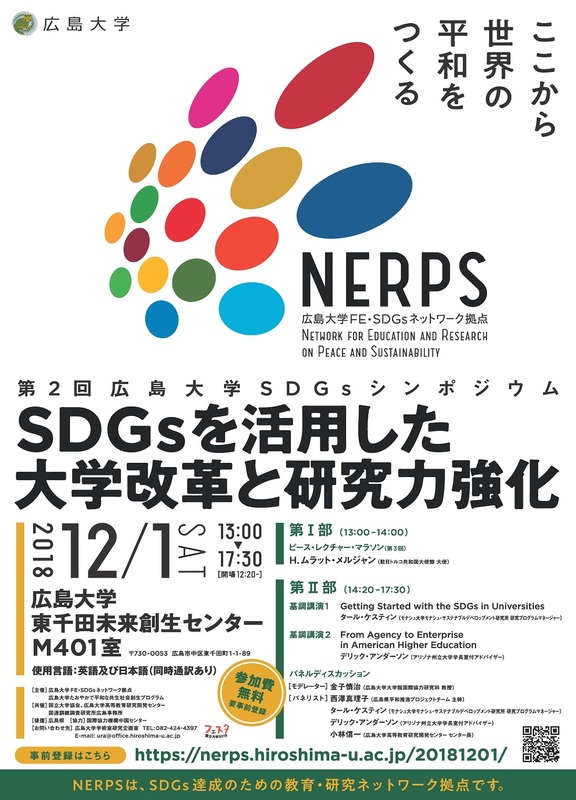 The 2nd Hiroshima University Symposium on SDGs: The Nexus between Global Goals and Research Enhancement through University Reforms will be held as follows. This is also the 6th Taoyaka Program International symposium. 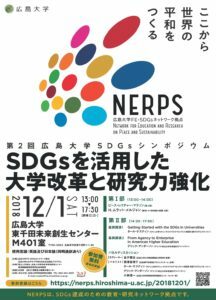 In this symposium, we host leaders in their respective fields from universities and institutions to intellectually promote and openly discuss our university reforms, enhancement of research, and the development of a new type of collaborative environment centered around the university, together with a collective pursuit of universally effective SDGs. This event is open to all.